Paul Etherington, State President and Janene Blanchfield Brown, Executive Officer had the honour of attending the boardroom luncheon at MCRI – Murdoch Children’s Research Institute. MCRI is the research arm of The Royal Children’s Hospital and they aim to improve the lives of millions of kids each year. The research they conduct is on a wide variety of health conditions which are on the rise in children. These include but are not limited to diabetes, allergies, asthma, premature birth and mental health problems. 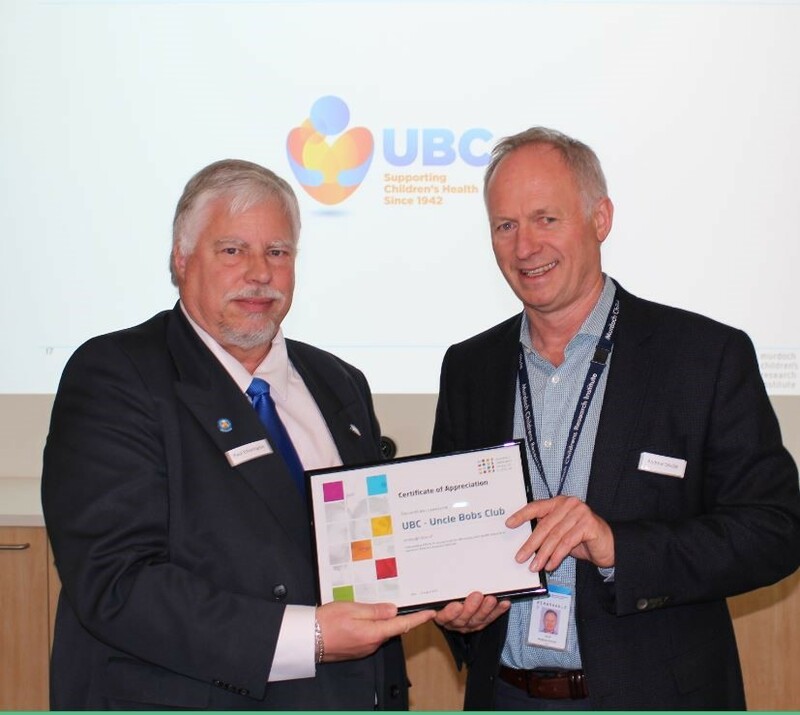 Paul Etherington presented a cheque from our Roxburgh Foundation and in return, UBC was presented with a Certificate of Appreciation. This donation honours our enduring commitment to supporting travelling scholars. MCRI have two thousand talented researchers dedicated to making discoveries to prevent and treat childhood conditions at work every day. UBC feels honoured to be able to take part in this endeavour as we all work together to support children’s health in Victoria.